As I write this, we are in the midst of intense volatility in the stock markets. No matter how much you have invested in stocks, it is nearly impossible to avoid a feeling of anxiety and concern in times like these. It is especially tough to figure out what market perturbations mean for your future when your investment strategy and corresponding asset allocation are not integrated with your long-term financial plan. In our view, asset allocation should be intimately tied to a financial plan that identifies one's short-term liquidity needs (access to cash that is not at risk of being lost), time horizon, and long-term goals. Unfortunately, not all investment strategies make this direct link and so volatility in one asset class (in the current case, the stock market) feels like it weakens the foundation of your whole financial situation and future. While there are many strategies used for asset allocation, let's examine three methods spanning the spectrum from one that uses no information about your financial situation to one that can only be executed in the context of a comprehensive financial plan. Our belief is that the latter will not only best help you achieve your short and long-term financial goals, but will also provide comfort during times of market volatility. The Rule of 120 refers to taking your age and subtracting it from 120 to calculate a rule of thumb for the percentage of your investment portfolio allocated to stocks (vs. bonds). For example, if you were 70, the rule would recommend a 50% stocks / 50% bonds investment portfolio. The idea is to increase exposure to bonds (which are less volatile) as one gets older. While there is often merit to the general principle of weighting your portfolio more towards bonds as you age to allow more security and less volatility in your wealth in retirement, this rule is much too simple to be an optimal solution for any particular individual. The real concern, though, is that this allocation method doesn't make you any more or less comfortable when stocks go down because the allocation is not tied to your cash needs. While bonds will soften the impact when stocks go down, your net worth will still likely go down and you won't have any transparency into how these changes to your net worth impact your long-term goals. We will see later that it helps to also take into account two other key variables: (1) how much you can invest and (2) your expected future living expenses. Another strategy that is often employed is to develop a portfolio optimized for yield. The goal is to create enough annual income from your portfolio through interest and dividends to fund your lifestyle. For example, if someone has $2,000,000 of savings and income needs of $100,000, they would attempt to construct a portfolio that targets a 5% yield. In this way the $2,000,000 would generate $100,000 of income (5% of $2,000,000) and not dwindle the original $2,000,000. Of course, a portfolio needing a higher yield to fund a desired lifestyle will need to be riskier. For instance, high yield bonds, also known as "junk bonds," experience similar volatility to stock markets and thus do not behave like typical fixed-income instruments such as investment-grade government or corporate bonds. Some stocks showing high dividend yields may also be deceptively speculative. In these cases, high yield (dividend payments divided by stock price) could merely be a function of a stock price drop due to a poor company outlook before the company's management revises down future dividend payments. The same unfavorable economic factors that drive down the price of stocks may also force companies (in the case of junk bonds) to default on their loans and (in the case of dividend-paying stocks) reduce their dividends. Assuming you navigate these and other various " yield traps ," one challenge with the yield strategy is that it focuses on certain asset types such as bonds, high-dividend stocks, real estate investment trusts (REITs), and infrastructure companies that predominately pay interest and dividends. By concentrating on this narrow set of assets, you are overweighting specific sectors that may do poorly at certain times during a business cycle. You are not able to effectively diversify because you do not have access to the entire investment universe. This strategy may also not be as tax-efficient as a strategy more oriented toward capital appreciation. Interest from fixed income and nonqualified dividends (dividends from REITS being an example), are taxed at ordinary income tax rates while long-term capital gains are taxed, as of this writing, at 0% for those in the 15% or below tax brackets, 15% for those in the 25%-35% tax brackets and 20% for those in the top 39.6% tax bracket. While the yield strategy attempts to produce predictable income in line with your income needs (aside from the risks mentioned above), the main challenge is that the yield strategy does not account for changes in expenses from year to year. Lump sum purchases (e.g. car purchases, new roof, major medical bills) eat away at principal and force a search for higher yield over time. Lifestyle costs also increase with inflation and so a portfolio designed to yield a specific income year to year may lose purchasing power and result in a diminishing lifestyle over time. An alternative approach to investment starts with the foundational premise that total returns of stocks have the potential to outperform bonds and cash in the long run and may be able to keep up with inflation in a way that cash and fixed income cannot. Therefore, if you have sufficient time to ride out volatility in stock markets and sufficient tolerance for risk, it may be prudent to maximize your exposure to stocks while minimizing the impact of stock market volatility (the short-term ups and downs of the market). Liquid cash or cash equivalents of up to one year of cash flow deficits plus an emergency cash fund . Another two to four years (depending on risk tolerance) of cash flow needs in high quality fixed income investments to ride out the volatility of stock markets. The remainder allocated to growth through stocks and alternative investments. It is important to note that only cash or high-quality investments make up the first two investment buckets. If junk bonds are an attractive asset class given economic conditions, it would be part of the third bucket, not the second. Natural rebalancing - If over the subsequent year, stocks outperform, we liquidate stocks for cash flow needs and maintain the 3-5 years of cash and fixed income. If stocks underperform, we will use the cash that was set aside for the year and create another year of cash from the bond portfolio. This strategy provides for a natural rebalancing as you are liquidating from the asset class that performed best in that year. Tax efficiency - This strategy allows you to maximize exposure to stocks, which as mentioned above, at the time of this writing is generally tax-advantaged as compared to interest and nonqualified dividend income. Peace of Mind During Short-Term Downturns - Since you have set aside three to five years of cash flow needs in cash and fixed income, you are reassured that you will not be impacted by short-term drops in stocks. Knowing that you do not have to sell during a downturn to fund your lifestyle and you can ride out the volatility of the stock market helps you to sleep better at night. While Asset Laddering provides these layers of security relative to other asset allocation models, it should be noted that there is no such thing as an investment strategy without risk. The primary risk to this strategy is long-term underperformance of stock markets, and I will address the specifics of this in a later post. 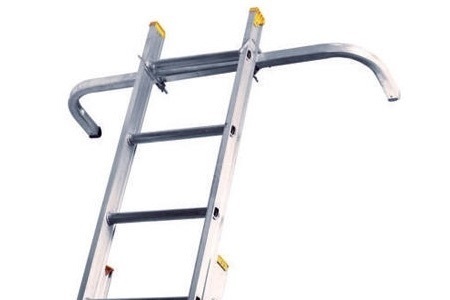 If the asset ladder strategy is so compelling, then why is it not more prominent? The answer is that it cannot be reduced down to a simple calculation with a few factors such as age (Rule of 120) or current income need (Yield Strategy). To correctly allocate the amounts needed in cash and fixed income, a detailed comprehensive financial plan is required. It is particularly important to identify cash flow needs over the next five years and many people do not bother to sit down to go through the process of identifying these details. Furthermore, cash flow needs change as people's situation changes and so the asset ladder strategy requires ongoing monitoring between your goals and objectives and your portfolio construction. Someone retiring, semi-retiring, or taking a break soon and will be going from an annual cash surplus situation (making more than spending) to a cash flow deficit (living off of assets). One must be proactive as changes to allocation strategy starts a few years prior to the first year of expected cash flow deficit. Someone planning a large purchase sometime in the next few years. One should account for the increased liquidity required, equal to the projected cost of the purchase. Someone with an annual cash surplus who expects to be this way for many years. As such, a heavy stock weighting can be considered as there may not be a need to liquidate investments in the short- to medium-term. Someone has a pension or annuity so their cash flow needs from their assets is lower than those who don't have a predictable stream of income. Less cash flow need from assets allows for less need to allocate the portfolio to cash and fixed income, all else being equal. Comfort in volatile markets, as you will be reassured that the short-term fluctuations will not impact meeting your long-term goals. If you have not developed a financial plan, work with a financial planner that you trust to develop one and ask how their asset allocation recommendations are linked to your cash flow needs. The information is the personal views of Josh Stillman and is not necessarily indicative of those of Capitol Financial Consultants, Inc. or Capitol Securities Management, Inc. The information contained herein has been compiled from sources believed to be reliable; however, there is no guarantee of its accuracy or completeness. Any opinions expressed here are statements of judgment on this date and are subject to certain risks and uncertainties which could cause actual results to differ materially from those currently anticipated or projected.